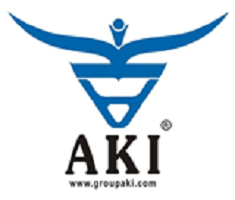 (i) AKI India Limited was established in the year 1994 With the object of manufacturing and export of leather and leather goods with the technical assistance of Horse riding group from Germany for the making of Leather Saddlery & Harness Goods and after successful running of saddlery business for 13 years, the company set up its own leather footwear unit in the year 2007-08 and started the manufacturing and export of leather shoes over the next several years. (ii) The Company is engaged in the activities of producing and export of saddlery goods, services of the leather shoes and trading of leather chemicals at domestic level. Changing economic scenario and business conditions, evolving consumer preferences, rapid technological innovations and adoption, and globalization are driving them to transform the manner in which they operate. (iii) The core competencies are our in-house technical knowledge, skilled workforce, diversified product portfolio which enable them to meet varied client requirements. Our Company deals in all kinds of footwear’s leather accessories. (iv) The Company operates through two distinct business verticals, retail and distribution, each with its predominantly own customer base, sale channels and product range. Their retail business operates through exclusive retail stores run by their Promoters through the proprietorship concern catering to middle and upper-middle income consumers, who primarily shop in high street stores and malls, for fashionable products. Their distribution business operates through a wide network of distributors catering to lower and middle-income consumers, who primarily shop in multi-brand-outlets (“MBO”) for functional products. (v) They are committed to satisfying their customers’ need for quality products by product innovations, using the quality materials available and manufacturing the highest quality products and continually searching for better materials and improved methods of production. No harm in giving it a miss. Conclusion: An SME company asking P/E multiple more than an established mainline company having revenue of 1000 Cr with RONW of 13.66% is beyond my understanding. The asking price should not be more than Rs.5. As on FY18, the company has a debt of ~15 Cr with an Equity of 7.64 Cr. So D/.E is approx. 2 which is quite high.